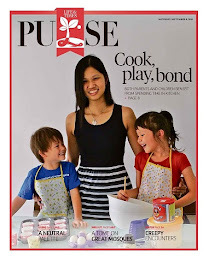 "Mummy, can you please cook us pasta for lunch today?" said my two little ones. Some days, my kids will make special food requests in the mornings and I will make it for them for lunch. I usually just have a rummage through my fridge/freezer to see what ingredients I have to cook with. 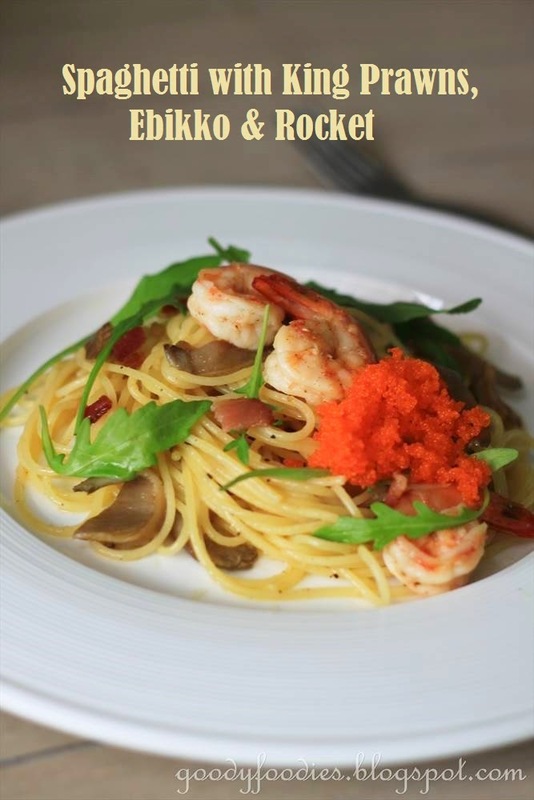 Luckily for them that day, I had bacon, grey oyster mushrooms, king prawns, ebikko and rocket leaves. 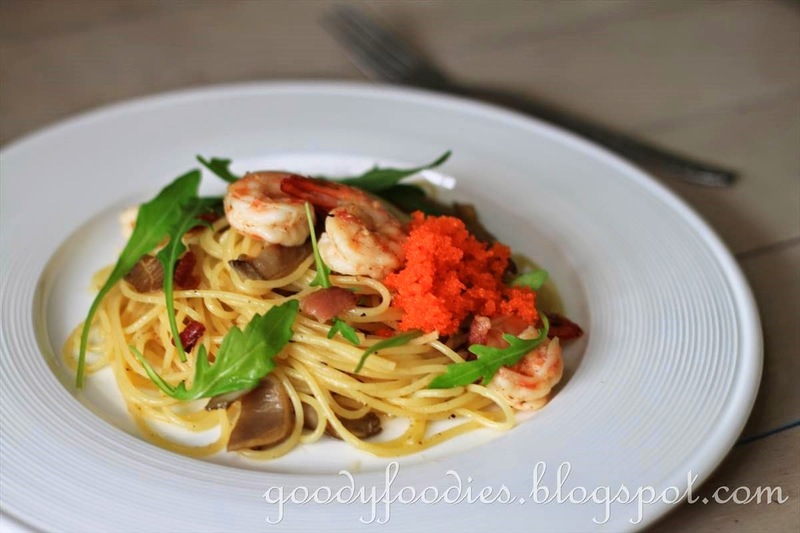 And thus this gorgeous pasta dish was born! My kids choice of pasta is always spaghetti, as they love slurping every strand with gusto. I had a good feeling that they would enjoy this as it combines all their favorite ingredients together. The bacon is first cooked, set aside and sprinkled just before serving so that it remains crispy. The bacon fat/oil is then used to saute the mushrooms and king prawns (can you imagine the yumminess yet?). 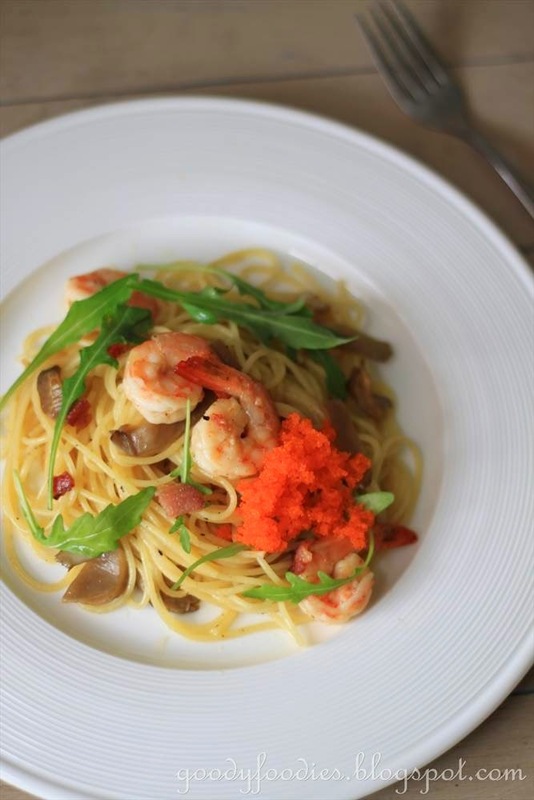 Once the pasta is plated, ebikko (shrimp roe) is added - I really like the texture and slight saltiness it adds to the dish. And this time, I garnished the pasta dish with some rocket leaves instead of sweet basil, and it worked out really well in terms of flavour. 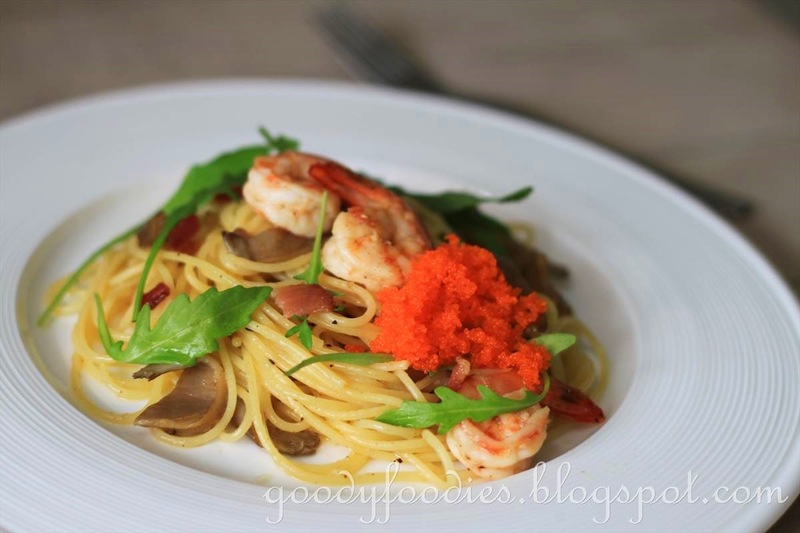 You can finish off the dish with a drizzle of truffle oil or grated Parmesan cheese, if desired. I am really happy with this dish, and more so when my kids told me that they loved it and asked for seconds. :) Quick, healthy and delicious. 1. 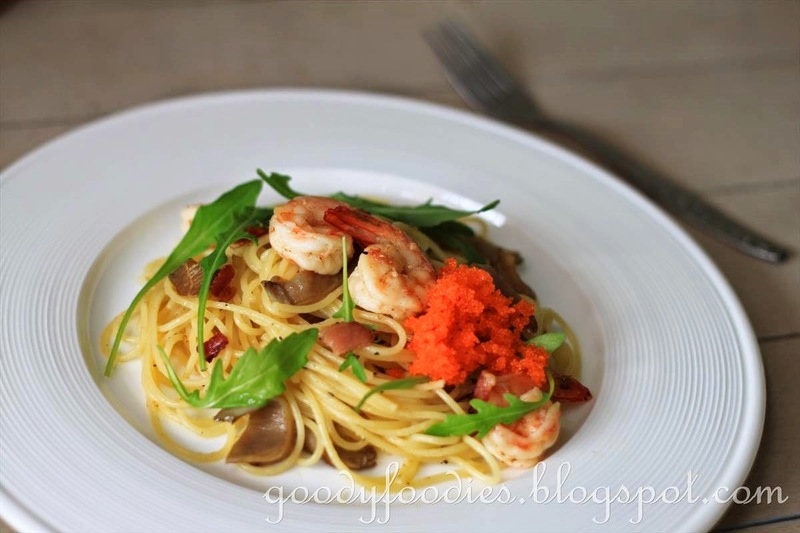 In a pot of salted water, cook the spaghetti pasta according to pack instructions, about 8-10 minutes until al dente. Remove from heat and drain, run under cold water to stop from cooking further. 2. Heat 2 tablespoon olive oil in frying pan on medium high heat. Add bacon and cook for 3-4 minutes, until crispy and golden brown. Remove and set aside. 3. In the same pan, add the garlic and cook for another minute. Add the mushrooms and fry for 2-3 minutes until cooked. Add the king prawns and saute for about 30-45 seconds, until cooked, then add the cooked pasta, drizzle with remaining olive oil and mix thoroughly for about 1 minute, and then season with salt and pepper. Mix in the crispy bacon. 4. Using a two-pronged carving fork, swirl some of the pasta around the fork. Slide the pasta off the fork and mound it in the center of a plate. Repeat for each serving. Spoon 1-2 tsp of ebikko on top of each plate and garnish with rocket leaves. Drizzle with truffle oil and shave Parmesan cheese on top, as desired. 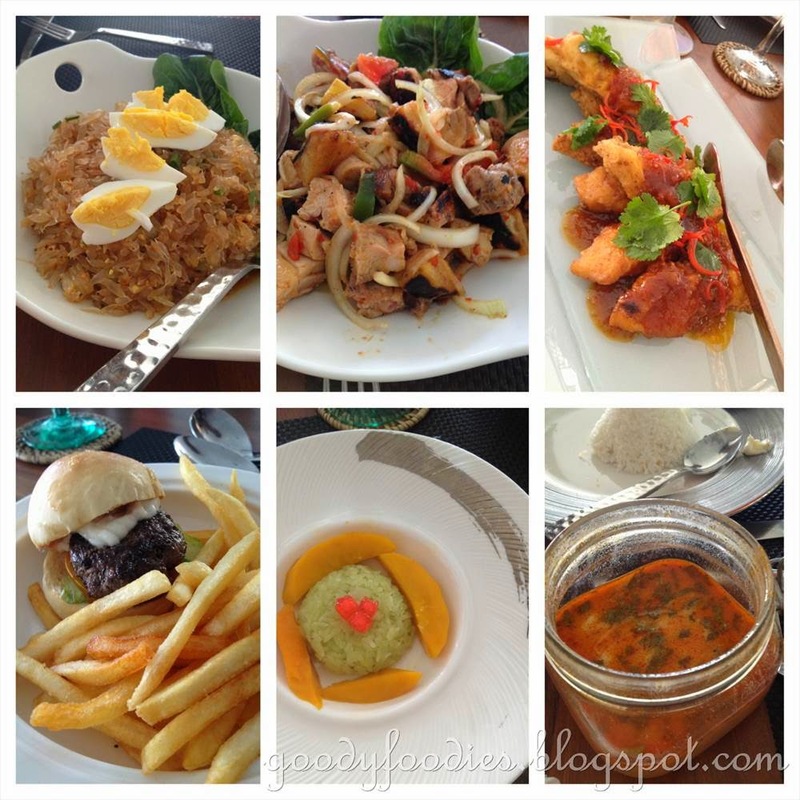 During our staycation at Best Western Premier Dua Sentral, we got the opportunity to try out all their food outlets. 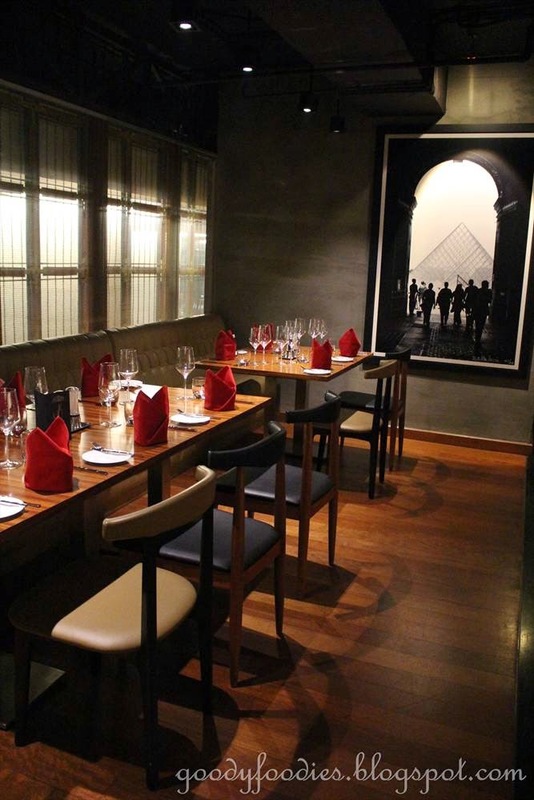 Grill 582 is the hotel's fine dining restaurant serving the finest cuts of meat and the freshest seafood in an elegant setting. We have dined in the restaurant previously, but this is our first time trying out their a la carte menu. Offered here are Australian Mulwarra grass fed Black Angus, MS7 Wagyu, as well as Australian lamb, poultry, fish, tiger prawn and much more. We picked all the "Chef Recommended" dishes - you definitely can't go wrong with that selection! :) They also offer a children's menu here but we did not order anything off it since our kids are used to eating from the adult's menu with us. The scallop monster in me couldn't resist when I saw scallops on the menu. 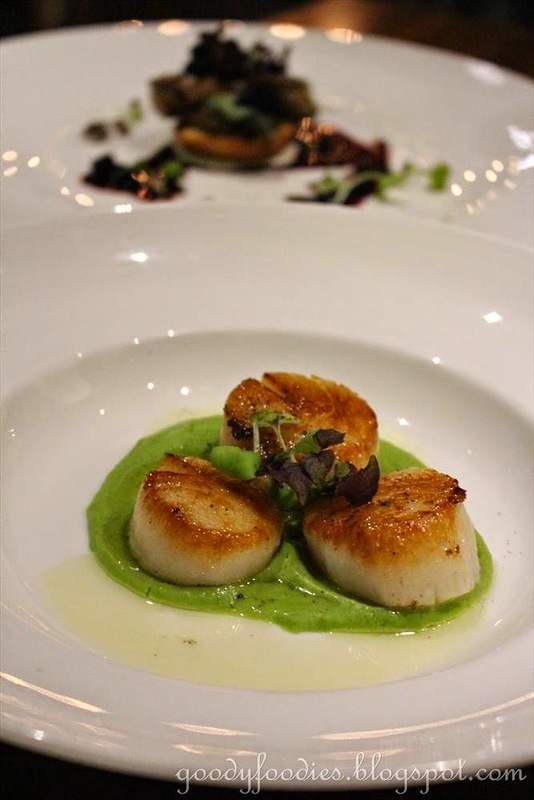 The US scallops are pan fried to perfection and is served with sweet green pea puree and chorizo oil. Utterly delicious! 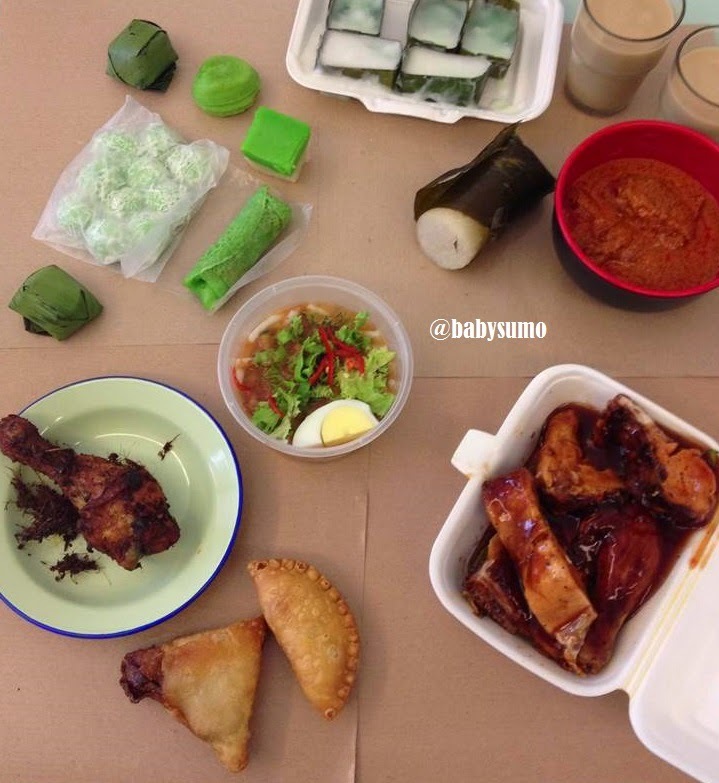 I could eat two plates of this. Baby C loved this as well. 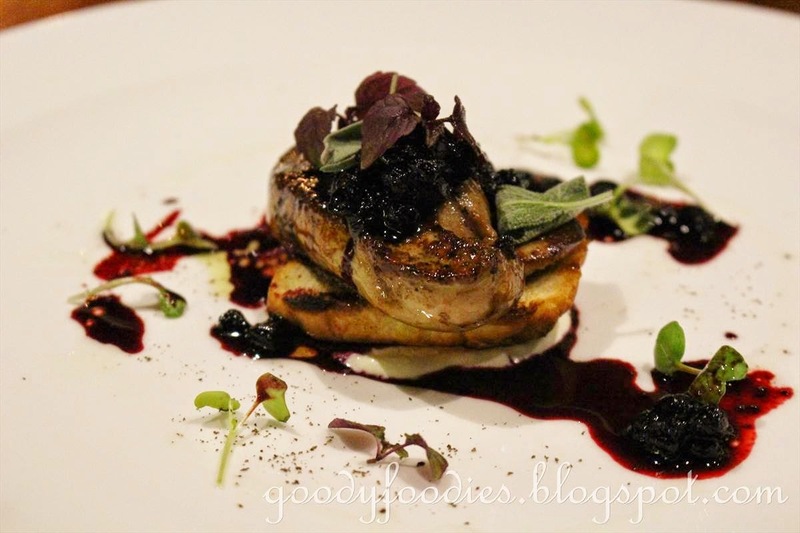 We also shared the pan seared foie gras (RM70), served with toasted brioche and wild berries. 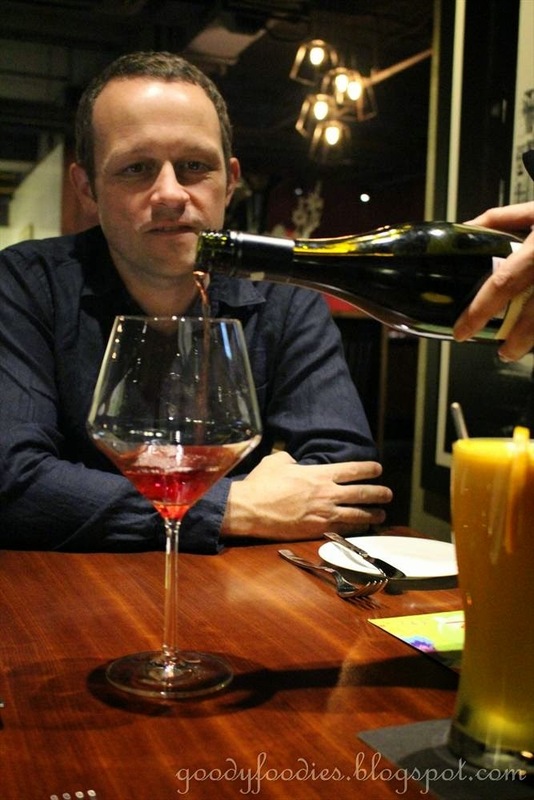 Rich and luscious, the tangy wild berries complemented it well. 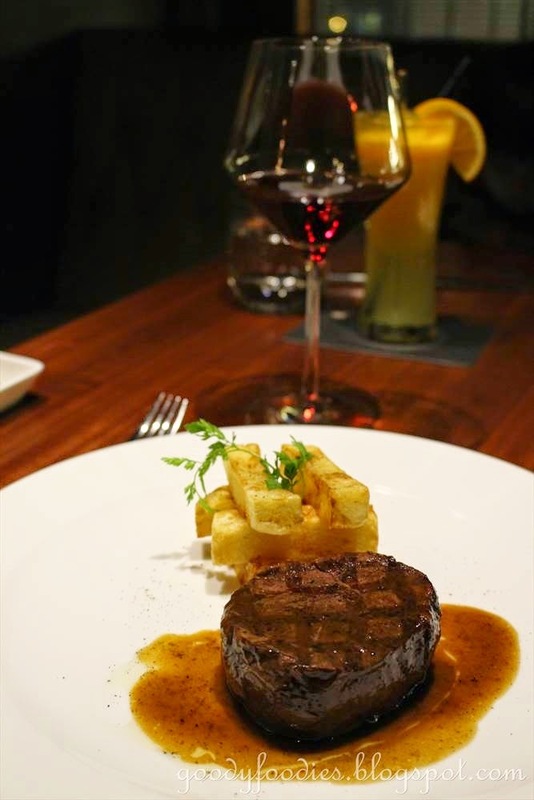 For mains, we choose 2 steaks and 1 lamb to share as we're a family of meat lovers :) We went for the Mulwarra grass fed 200g tenderloin (RM108) as well as the MS7 200g Wagyu beef fillet (RM228). 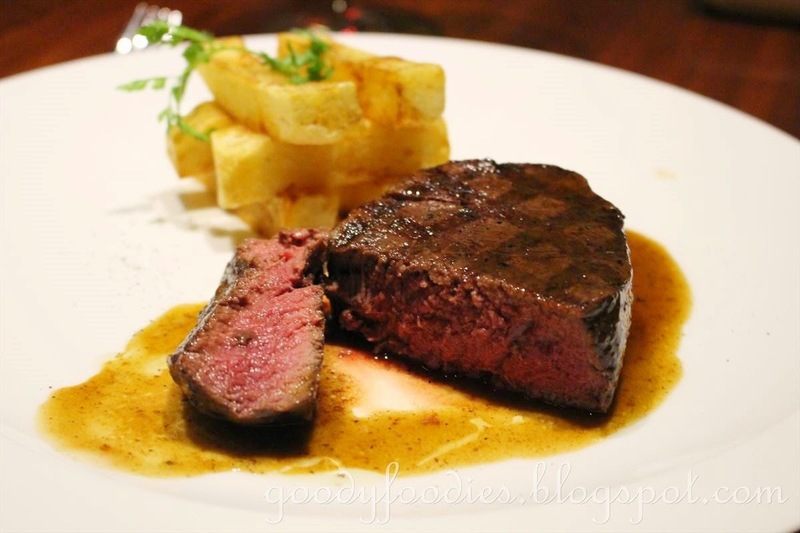 We were pleasantly surprised by the Mulwarra tenderloin, which proved to be much more tender than the Wagyu. It was also full of flavour and juicy. We had requested for chunky chips instead of baked potatoes and these were good too. 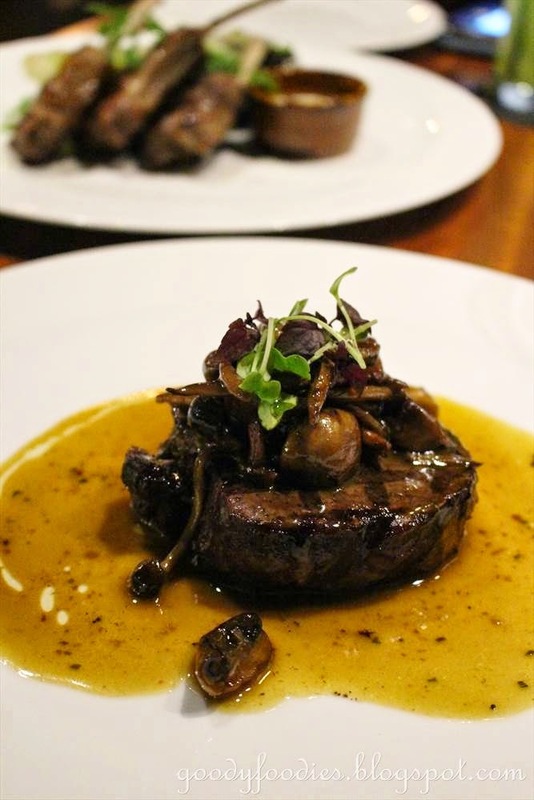 The Wagyu beef fillet was served with a mushroom ragout, and a delicious sauce. 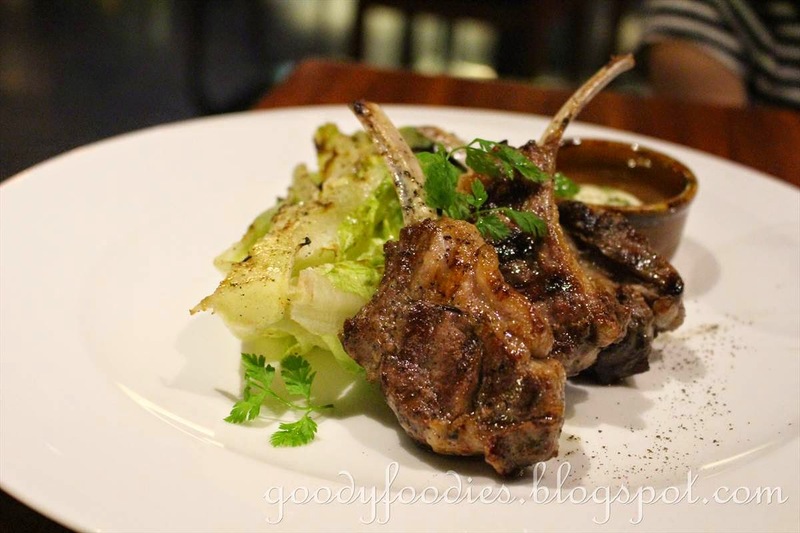 The rack of lamb (RM80) also proved to be an excellent choice, tender and juicy. Served with grilled baby romaine and aioli. I like the slightly charred taste on the baby romaine. Our meal at Grill 582 ended on a high note with two fantastic desserts. 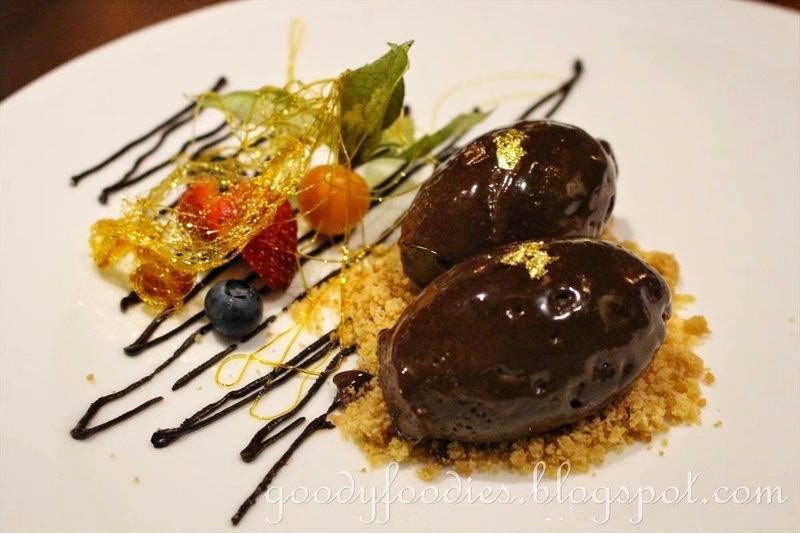 The chilled chocolate chiboust (RM22) is their bestselling dessert and it is easy to see why. 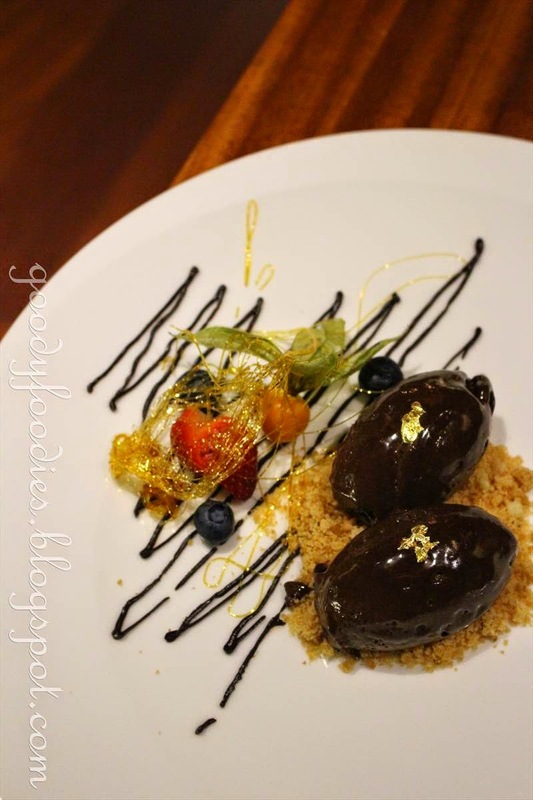 Beautifully presented, sinful and delicious, we loved the rich creamy dark chocolate mousse, topped with some edible gold, and served with candyfloss and berries. 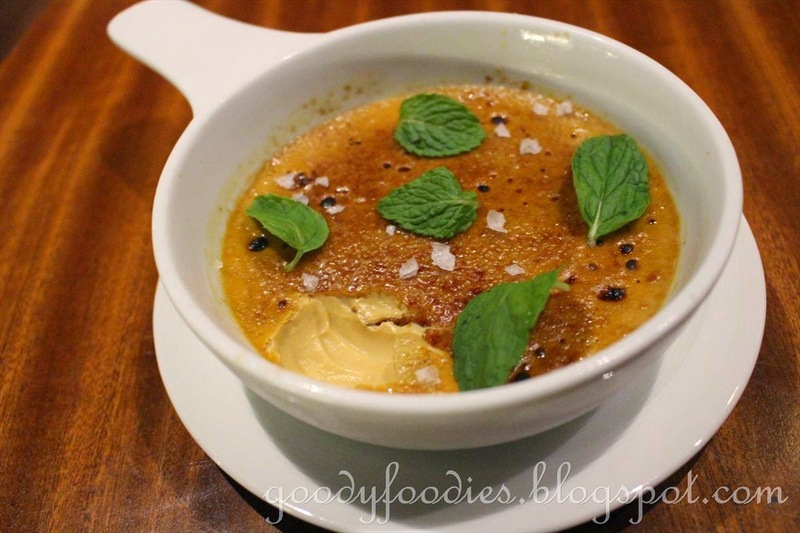 We also loved the toffee creme brulee served with Maldon salt (RM25). 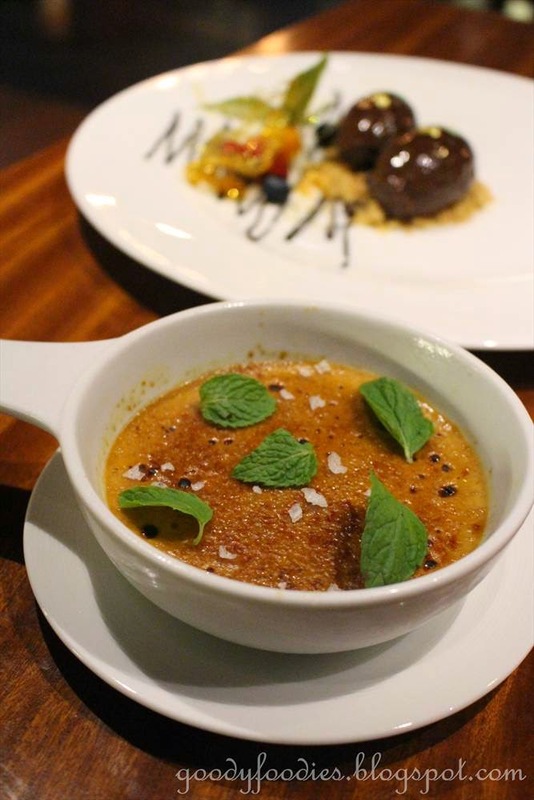 The sea salt flakes balanced the sweetness from the toffee creme brulee perfectly. This has to be one of the best creme brulees we've eaten in a KL restaurant. 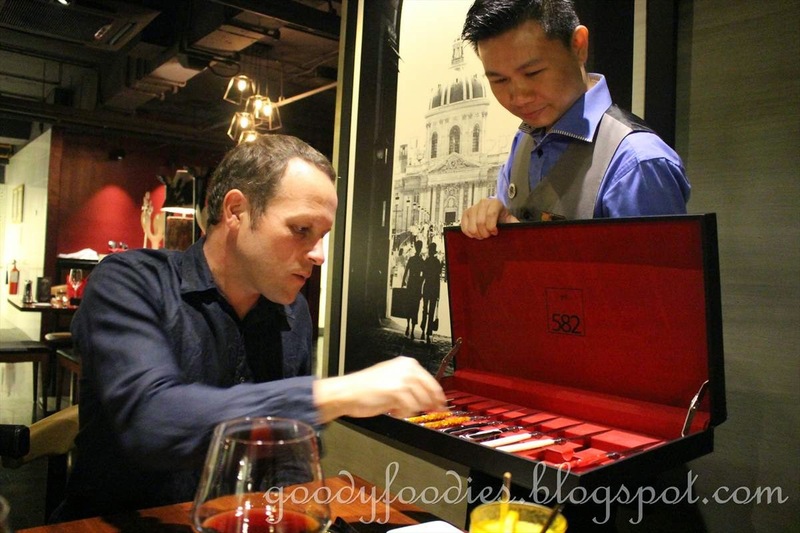 Read about our previous dining experiences at Grill 582 here and here. Opening times: Monday to Sunday 7.00pm - 10.30pm. 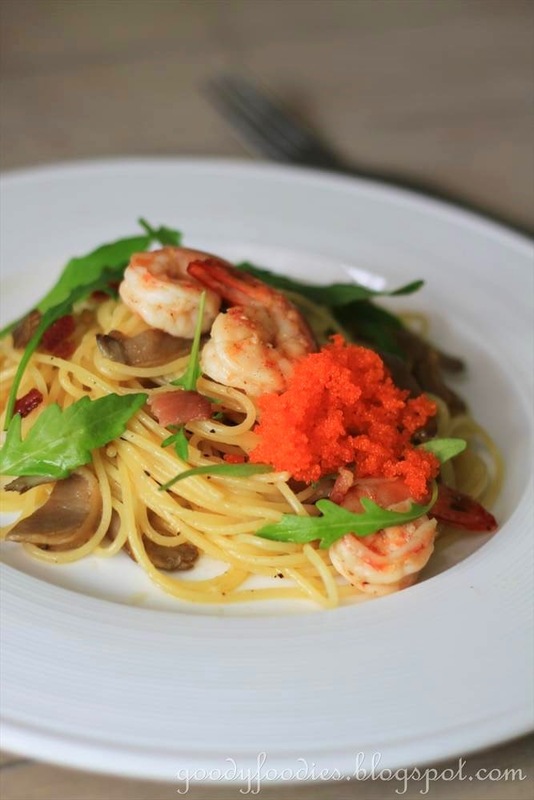 Location: Grill 582, Level 2, Best Western Premier Dua Sentral, 8, Jalan Tun Sambanthan, 50470 Kuala Lumpur, Malaysia. 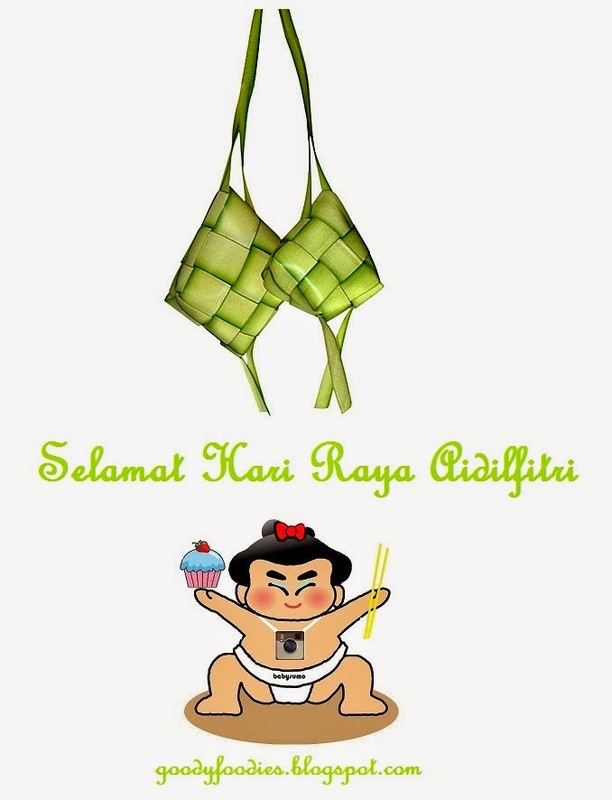 Wishing all readers and friends celebrating this special occasion, Selamat Hari Raya Aidilfitri :) To everyone else, enjoy the holidays! A friend of ours passed us a huge bag of bananas over the weekend - I think there were at least 30 bananas in there! We kept them in the fridge to slow the ripening process, but we had to use them up quickly before they went bad. 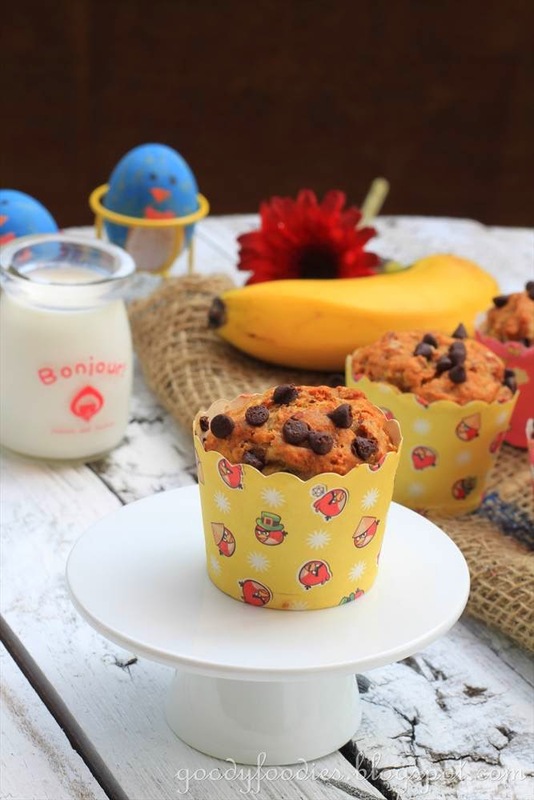 Hence banana muffins and cakes made an appearance almost everyday in our house this week. The first recipe that we tried was Nigella Lawson's banana muffins recipe from her "How to be a Domestic Goddess" cookbook. My daughter was tasked in making these muffins, and this recipe seemed apt since it's from the "Children" section in the book. 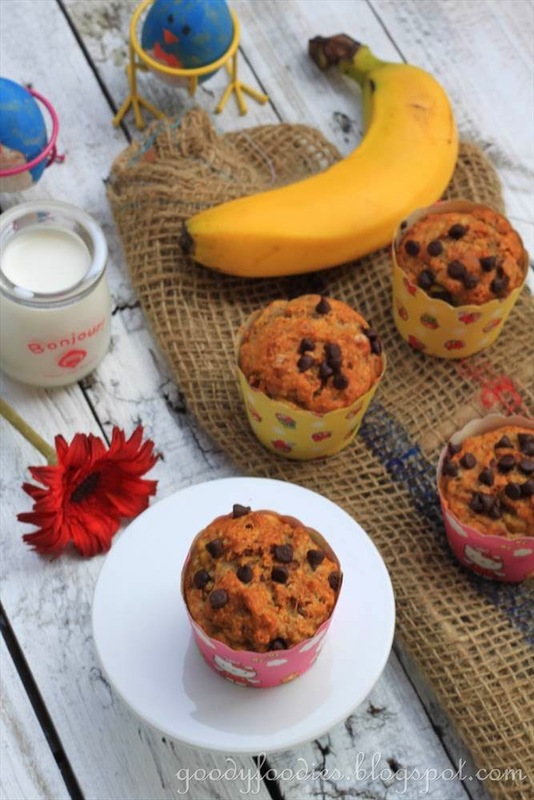 Furthermore, these muffins have no added sugar as it is sweetened by the bananas and honey. We also sprinkled some extra chocolate chips on top. 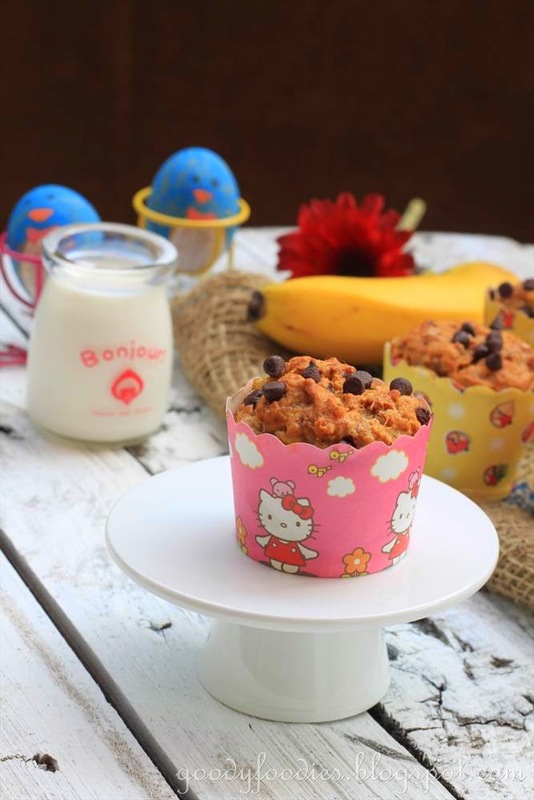 The bananas also keep the muffins very moist; you can store it in an airtight container for up to 4 days. 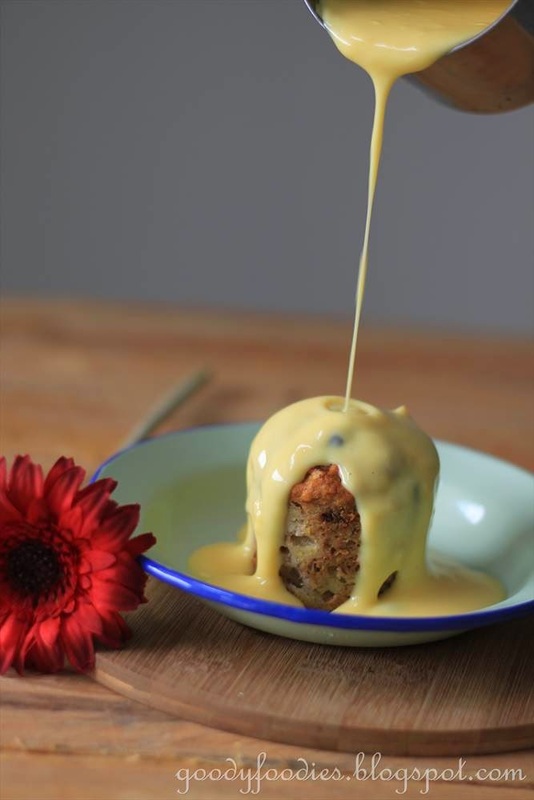 They're great just eaten like that, or for a touch of luxury, we cut it in half and slather Bordier butter all over it! 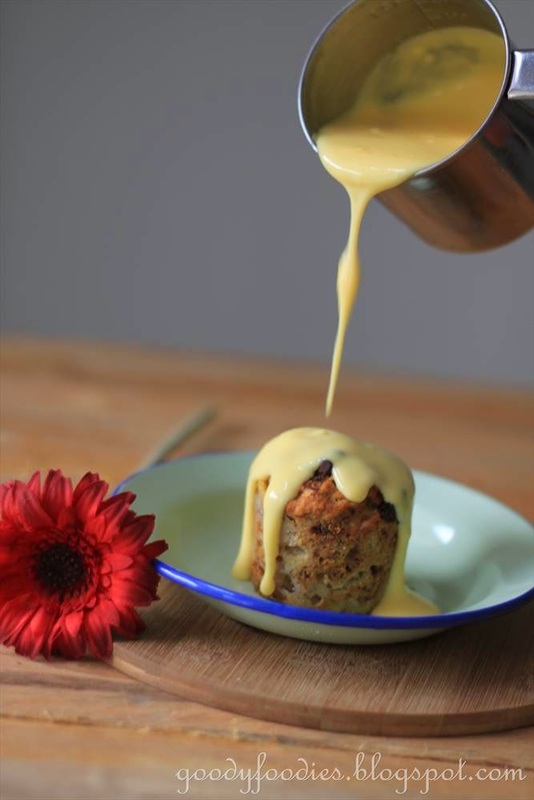 Hubby also served it with warm custard one of the days. YUM! 1. Preheat oven to 190°C (no fan). Line a baking tray with 14 paper baking cups. 2. Put the butter, honey and vanilla extract in a pan over low heat, until butter is melted. Remove and set aside for a few minutes. 3. Place the flour, baking powder, baking soda, ground cinnamon and salt in a large bowl. Mix the melted butter mixture with the mashed bananas, and then mix it into the dry ingredients. Don't overmix, just stir a few times until the flour is incorporated. 4. Fill the muffin cups about 2/3 full of mixture. Sprinkle dark chocolate chips on top. Put in oven and bake for about 23-25 minutes,or until a skewer inserted in the centre comes out clean. Leave in the tray to cool for 5 minutes, then remove to a wire rack to cool completely. 5. Store in airtight containers. 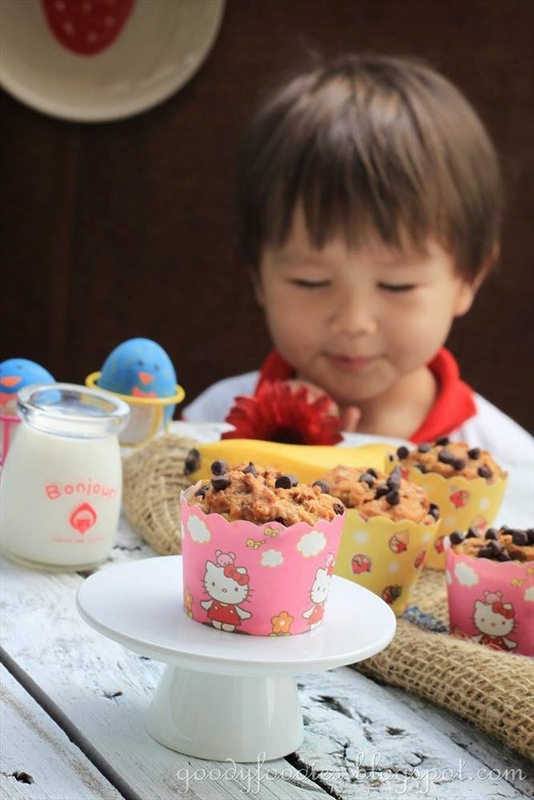 These muffins will keep well for 3-4 days. Note: Your child can do all the steps in this recipe, however for younger kids, you may want to do Step 2 for them as it requires melting in a pot over a hob. 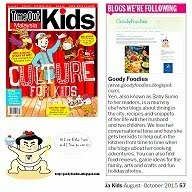 * I am submitting this post to "Cook-Your-Books #14" hosted by Joyce. 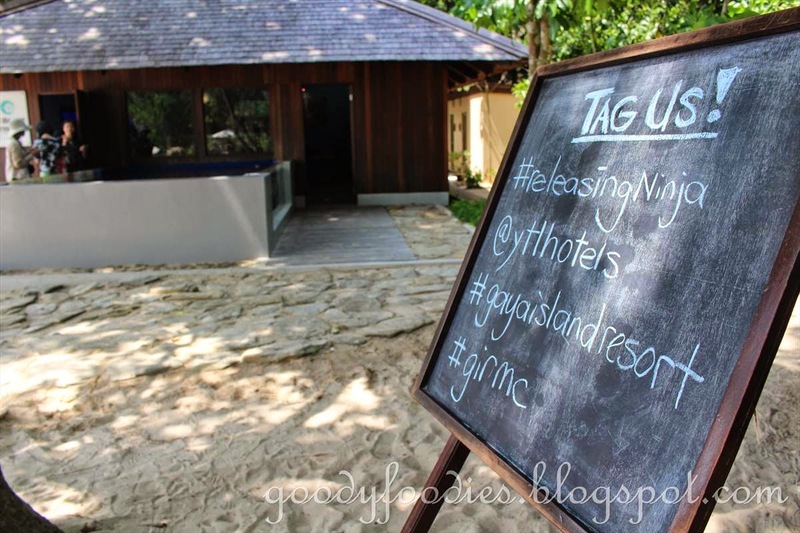 On June 27th 2014, YTL Hotel's Gaya Island Resort Marine Centre released Ninja, the young green sea turtle it rescued and nursed back to health. 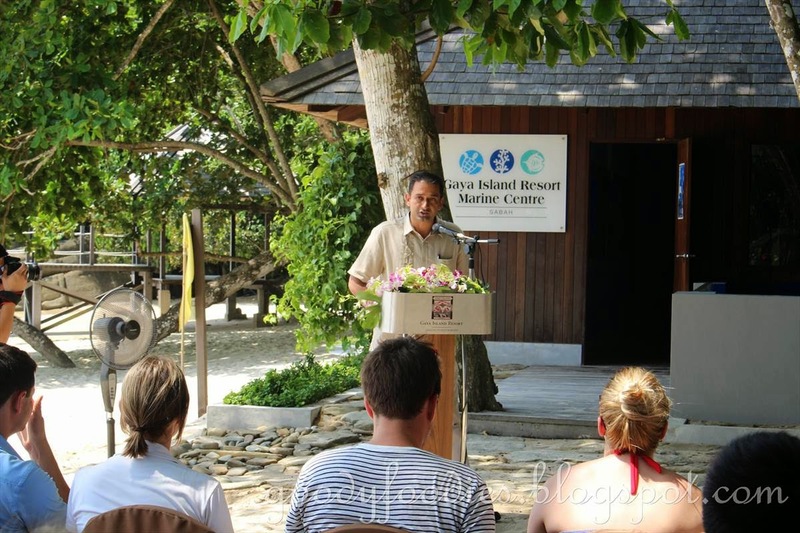 Present at Ninja's release were various wildlife bodies such as Sabah Wildlife Rescue Unit, WWF Malaysia and Reef Check, as well as hotel guests and over 30 primary children from Gaya Island's Kampung Gaya School, invited as part of the resort's initiative to educate and raise awareness regarding marine conservation and the importance of preserving the rich ecology of Borneo. We were fortunate to be a part of this momentous event. 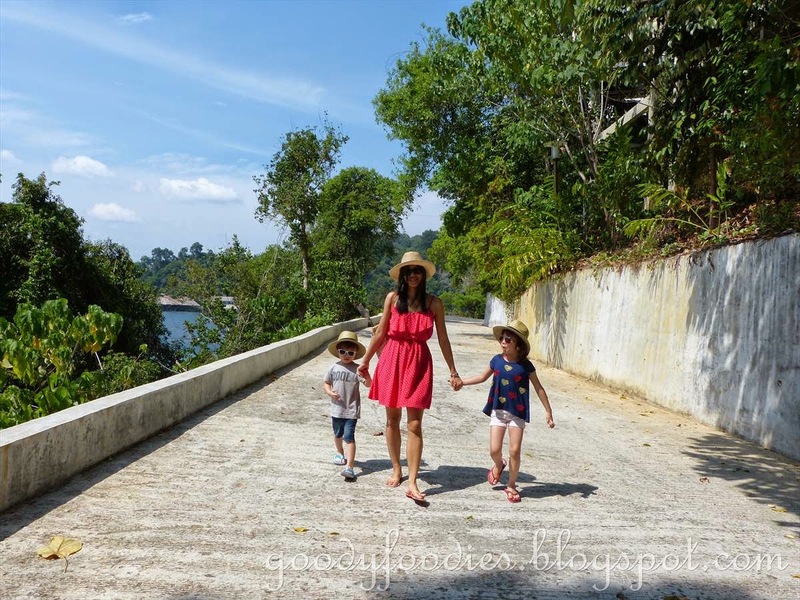 Gaya Island Resort Marine Centre is Malaysia's first turtle rehabilitation centre and Ninja is the fourth turtle to be taken in by the resort. 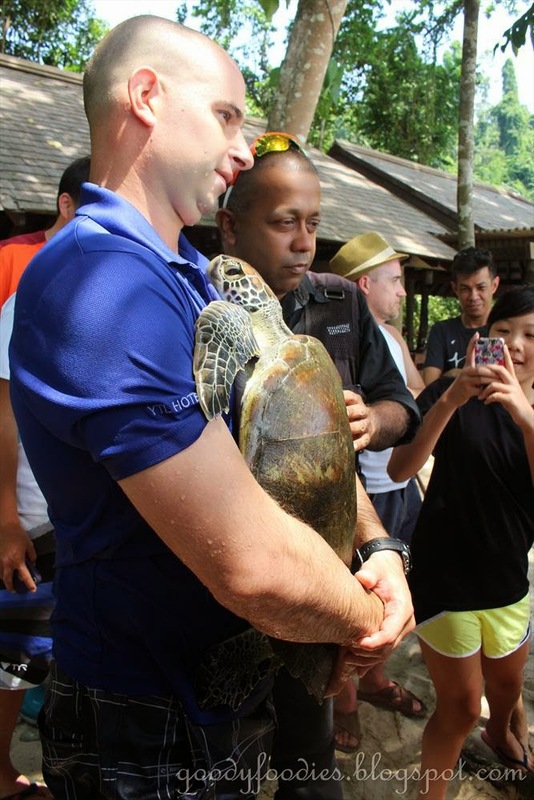 She was first discovered on April 4th, after the resort's Turtle Hotline received a call from Dr. Nathan Sen, the Assistant Director of Sabah Wildlife Department. He and his team had discovered a farmer who had the turtle in his possession. In Sabah, turtles are a protected species, carrying a fine of RM50,000 and 5 years imprisonment if found capturing them. 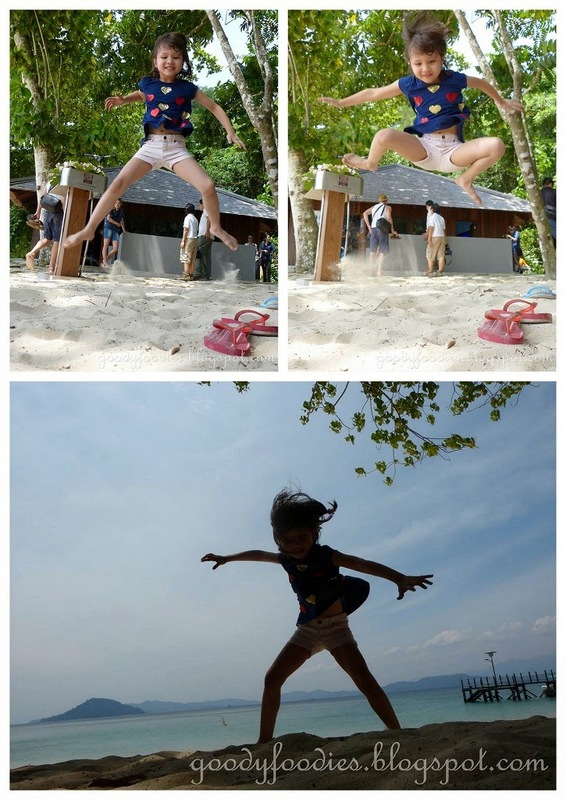 Dr. Sen rescued Ninja and transferred her to Gaya Island Resort Marine Centre. At this point, Ninja was emaciated and suffering from septicemia. 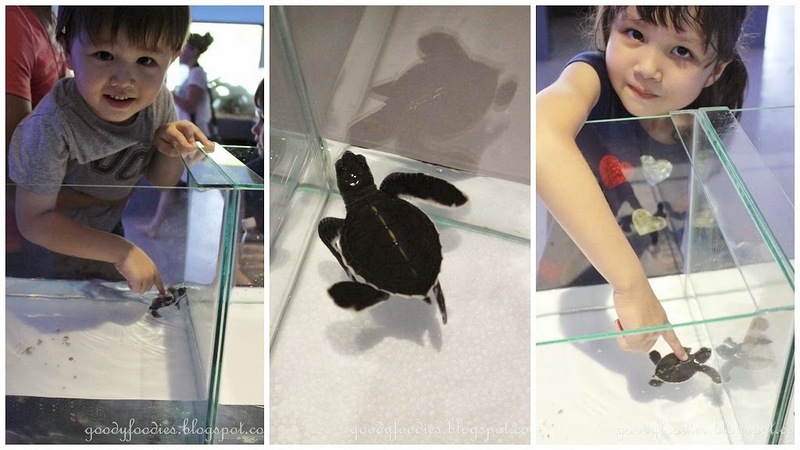 She was put under the care of the centre's resident Marine Biologist, Scott Mayback. She was kept under surveillance and given various medications including antibiotics and topical medications to remove barnacles. 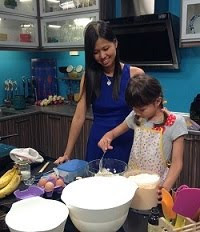 Within 3 months, her weight improved from 7.7kg to 8.6kg and her appetite and colour returned. 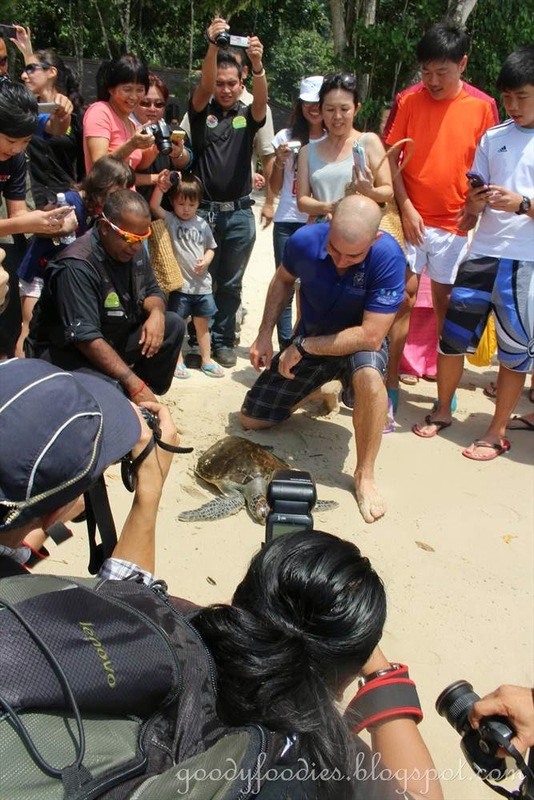 Ninja is deemed fit and able to survive in the sea by Marine Research Foundations's Dr Nick Pilcher on June 27th and was released at the Gaya Island Resort Marine Centre. Ninja being released back into the sea... Bye Ninja! "Saving a single turtle requires team effort," says Mr Mayback. "For rescuing and rehabilitating Ninja, I need to thank Dr.Sen, Sabah Wildlife Rescue Unit's Dr Diana Ramirez who helped with the medical treatments, and Dr. Pilcher, without whom the turtle rescue centre would not have been founded. 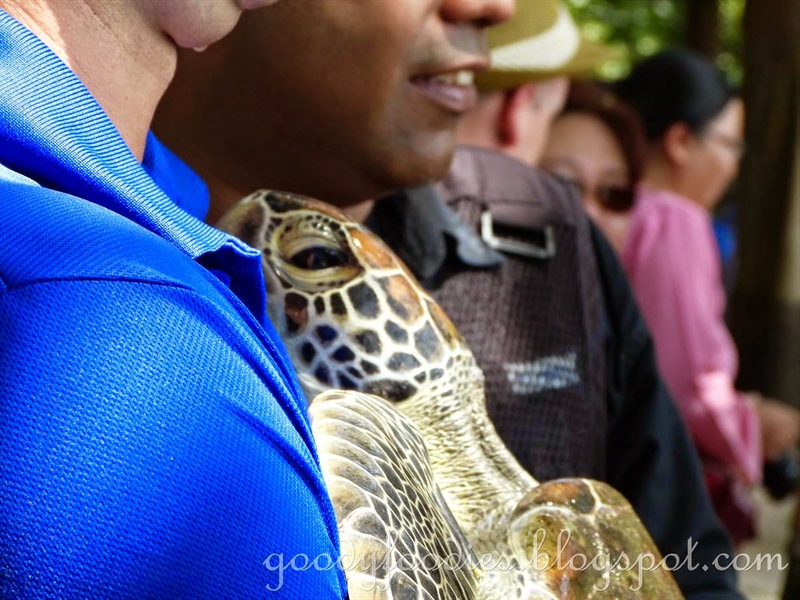 I hope that we can continue to not only help turtles and other sea life in need of care, but also motivate and inspire the public so they can also support and value our rich marine eco-system." 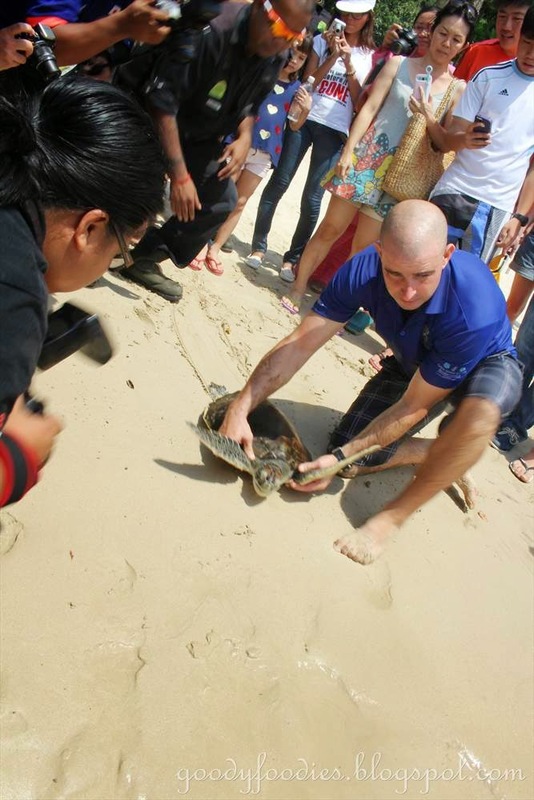 The event ended with Mr. Mayback carrying the turtle into the waters of Gaya Island Resort's private Tavajun Bay, where she was released into her natural habitat. Ninja is estimated to be 7-10 years old; green sea turtles generally live up to approximately 80 years old, so we hope that Ninja lives a long, healthy life. 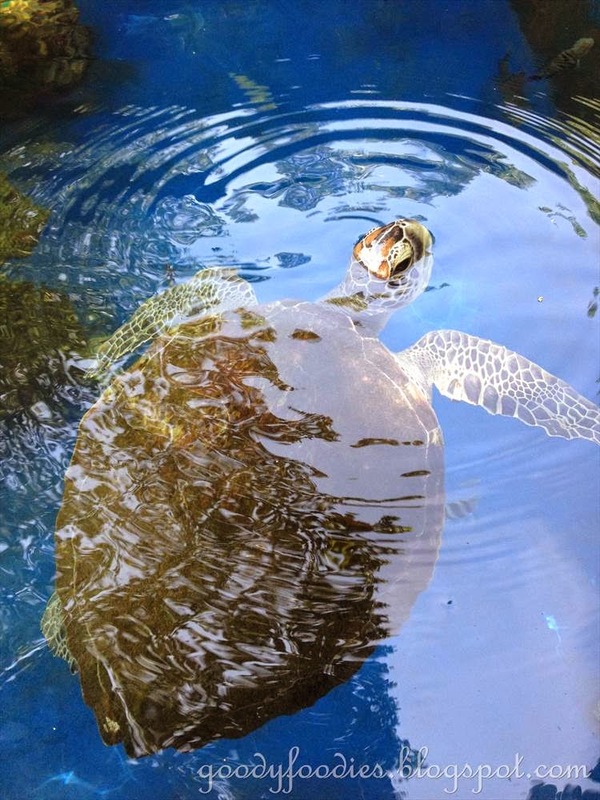 Gaya Island Resort Marine Centre's turtle rescue hotline can be contacted at +6013 899 9509. The public is encouraged to call the hotline should they find a sick, injured or illegally kept turtle in Sabah. A delicious Thai-inspired lunch awaits us at Feast Village after the turtle release event. Many thanks to YTL Hotels for the kind invitation to this event. 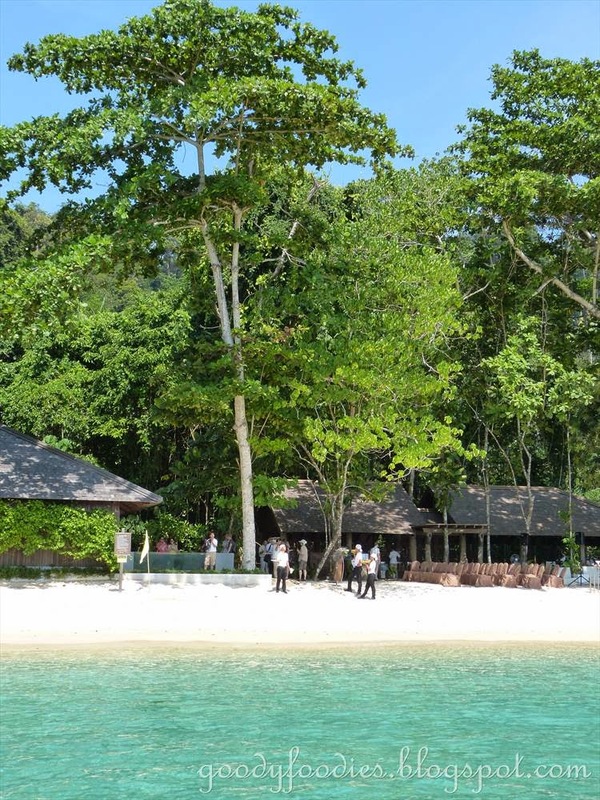 Location: Gaya Island Resort, Malohom Bay, Pulau Gaya, Tunku Abdul Rahman Marine Park, 88000 Kota Kinabalu, Sabah, East Malaysia. 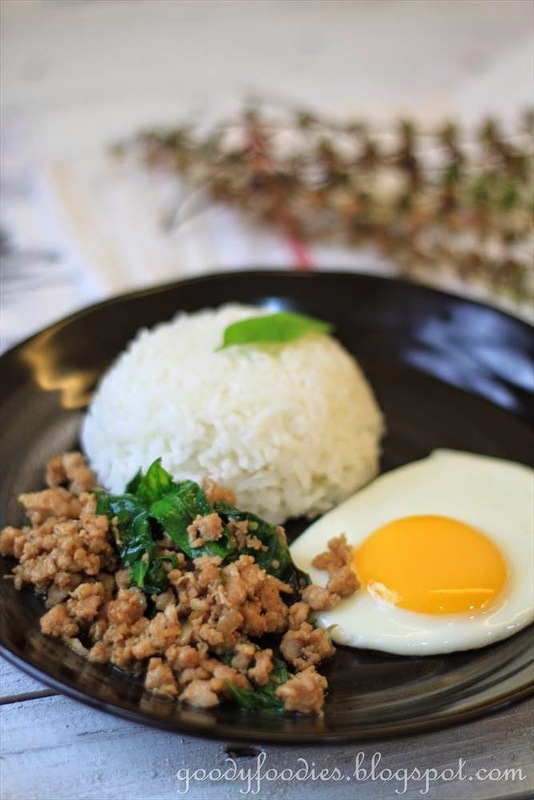 This Thai dish, pad horapa moo (minced pork with Thai basil) is perfect for busy weeknights. 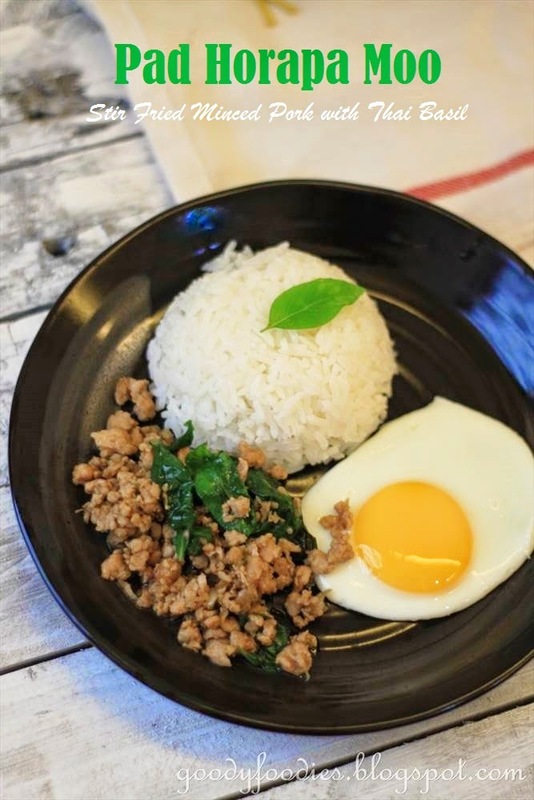 My kind of fast food, as it takes under 20 minutes to prepare and cook, and it's very delicious! 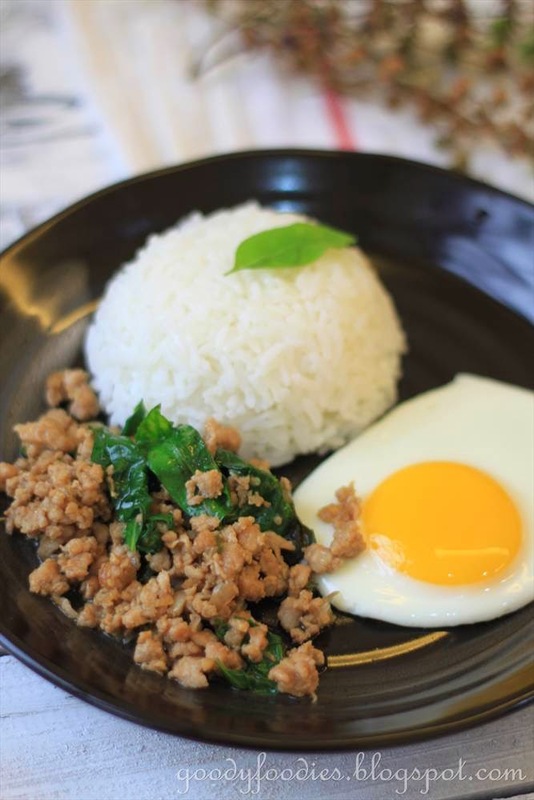 We absolutely love the taste of this dish - the minced pork was very flavorful and slightly spicy. Of course, you can adjust the spiciness level by adding or reducing the amount of chillies used. We used about 4 since we were serving this to the kids as well. 1. In a wok, heat oil over medium high heat. Once hot, add the garlic, chilli and onion and cook for 2 minutes, until the garlic is lightly golden and fragrant. 2. 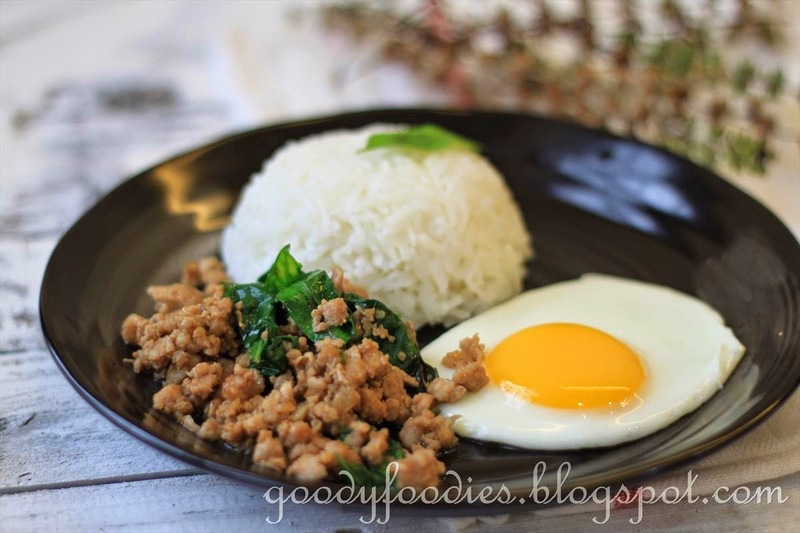 Add the minced pork and cook for about 5 minutes, until it is lightly golden and cooked through. Add water, fish sauce, brown sugar and oyster sauce and cook for another 1 1/2 - 2 minutes, until the sauce has slightly reduced. Taste seasoning. 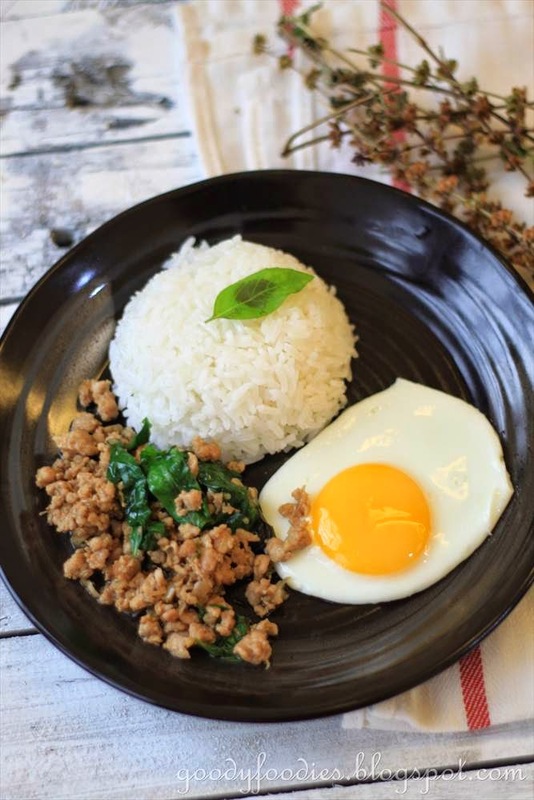 Finally, stir in the Thai basil leaves until slightly wilted. 3. 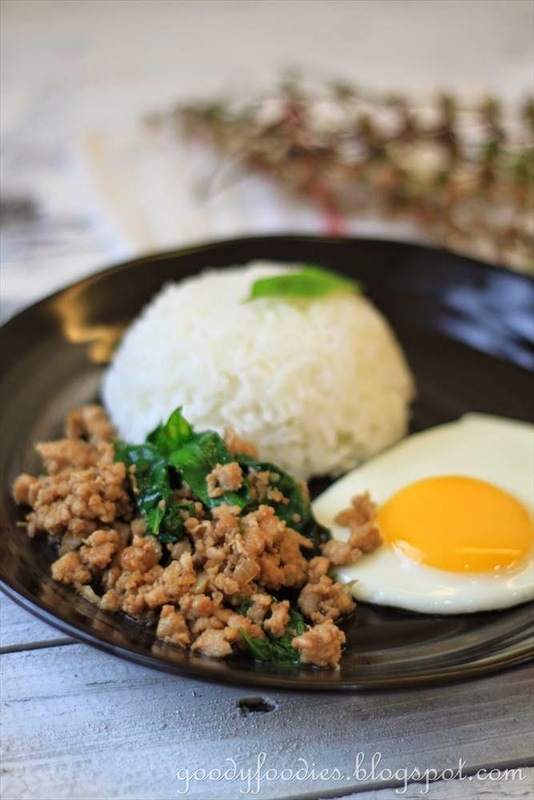 Serve immediately with white rice and a fried egg. Every year, I make a resolution to make more bread for my family but on the other hand, I have a love/hate relationship with yeast (I don't always have luck with it and sometimes the yeast is dead and our bread doesn't rise and we end up with a brick). 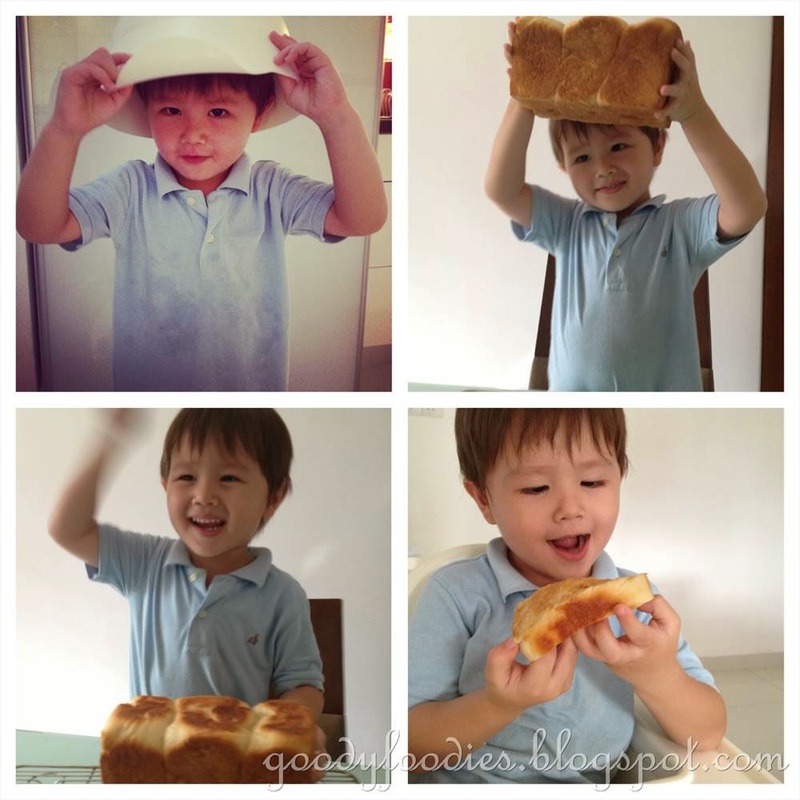 Recently, I saw many of my blogger friends making the plain white loaf (recipe originating from the famous Taiwan's Master Baker Wu Pao Chun), also known as Champion Toast. It looked so good, I knew I had to try it too! 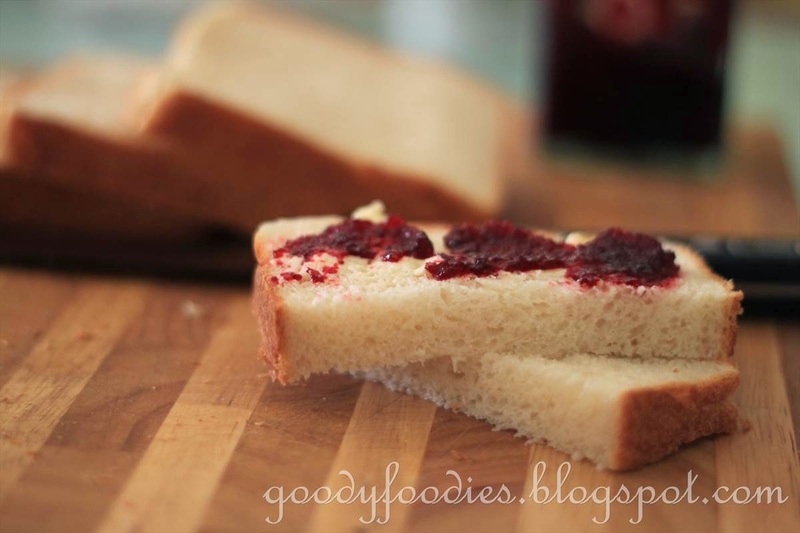 Plain White Loaf.... perfect to be eaten anytime of the day! 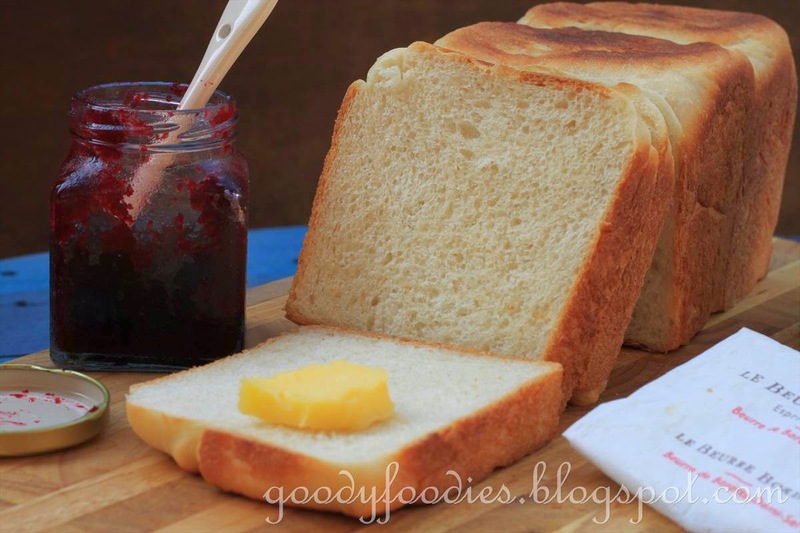 Making this bread is very easy as I can use my KitchenAid to knead the dough. 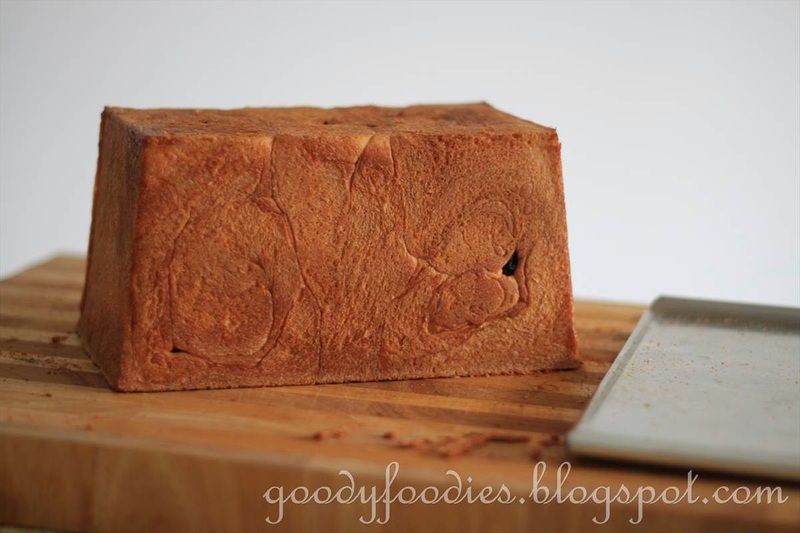 The dough rose beautifully, and for the first time, I felt really happy baking bread. 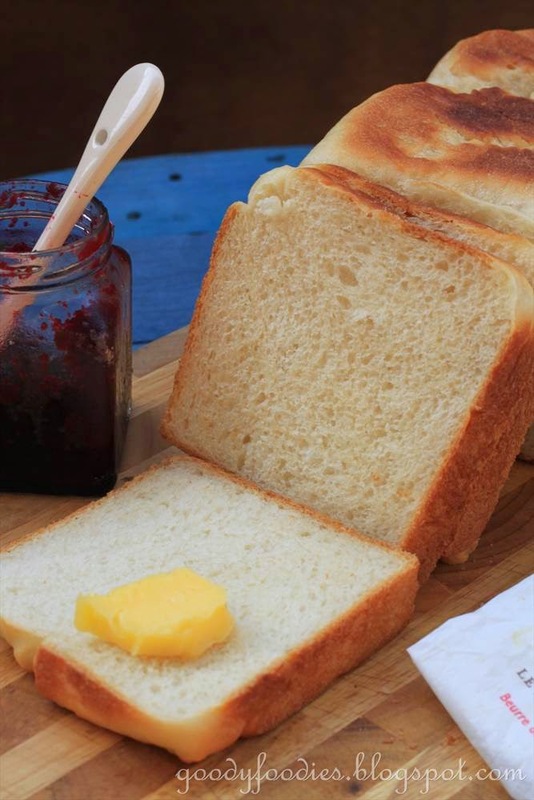 The bread tasted delicious and the texture was great -so soft and fluffy. We bake this almost everyday now, and enjoy this as our daily loaf. Most days though my kids and Hubby would eat almost 3/4 of the loaf before the end of the evening when it's hot out of the oven. That's how much they love it! 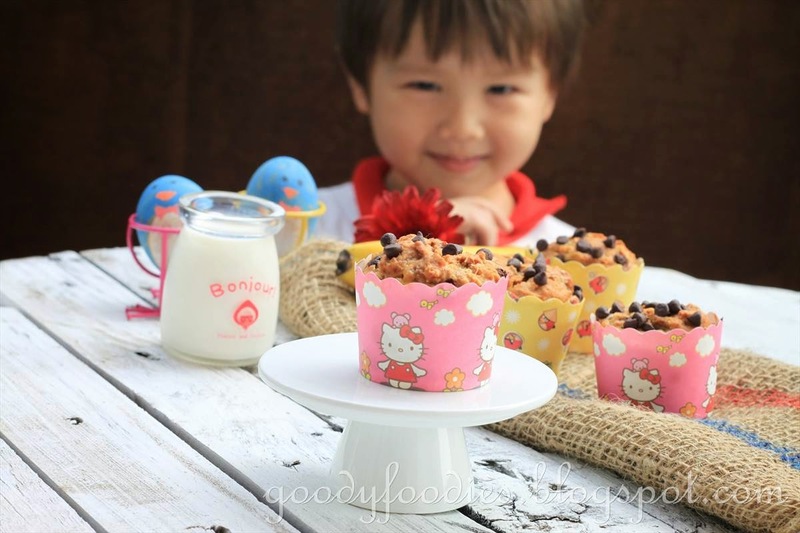 My son assists me everyday when he is on school holidays :) My lil baker boy. 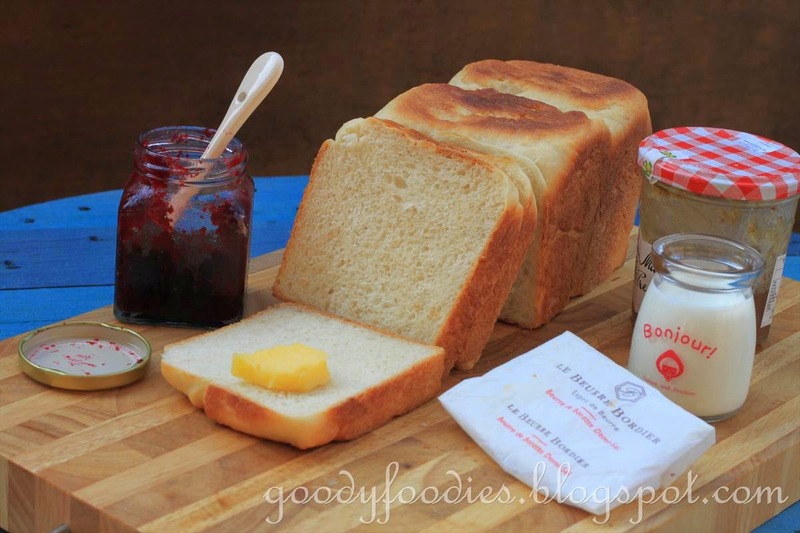 This white loaf is perfect for making French Toast. 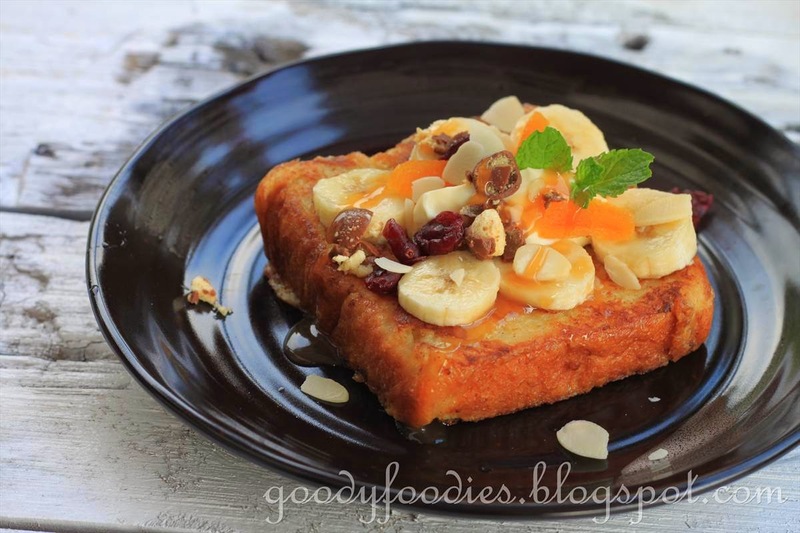 We would always save a couple of slices to make this for breakfast the next day! 1. 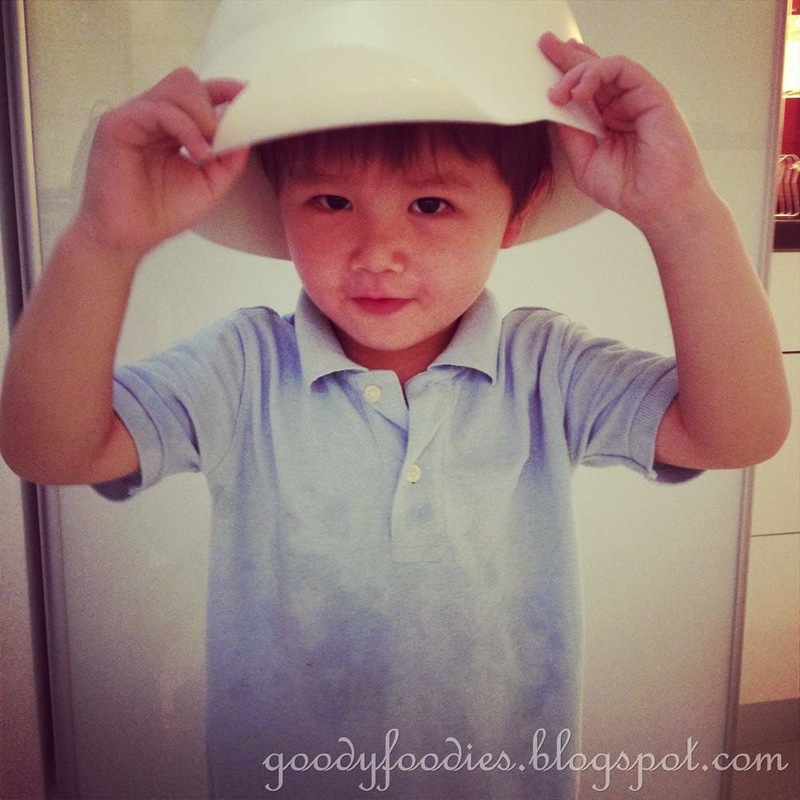 In a mixing bowl, place the flour, sugar and yeast. Mix well. 2. Then, add in salt and milk to the mixing bowl. Using low speed with hook attachment (speed 1 on KitchenAid) mix into a dough, about 2 minutes. 3. Add in butter, then knead using low speed for another 15-20 minutes until you get a shiny and smooth dough. 3. 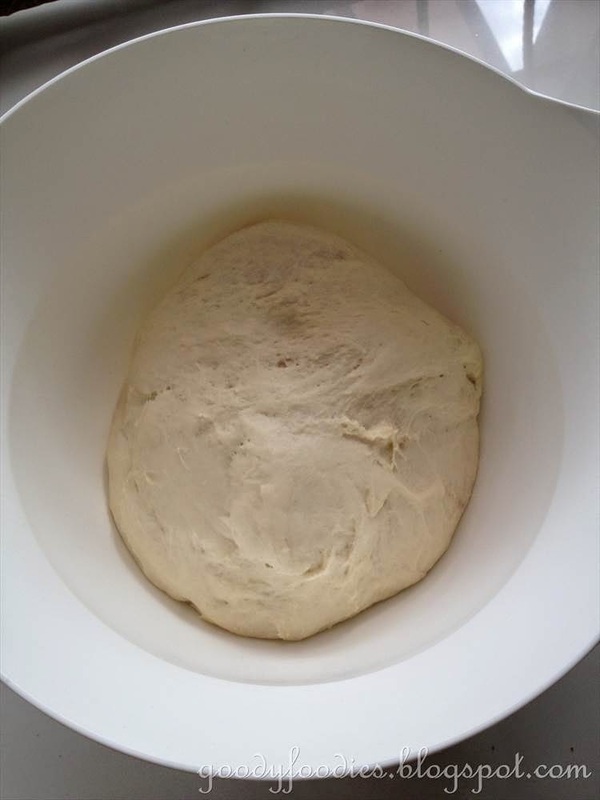 Shape the dough into a bowl and place back in bowl. Cover the mixing bowl with a cloth and proof until doubled in size, about 1 - 1 1/2 hour. 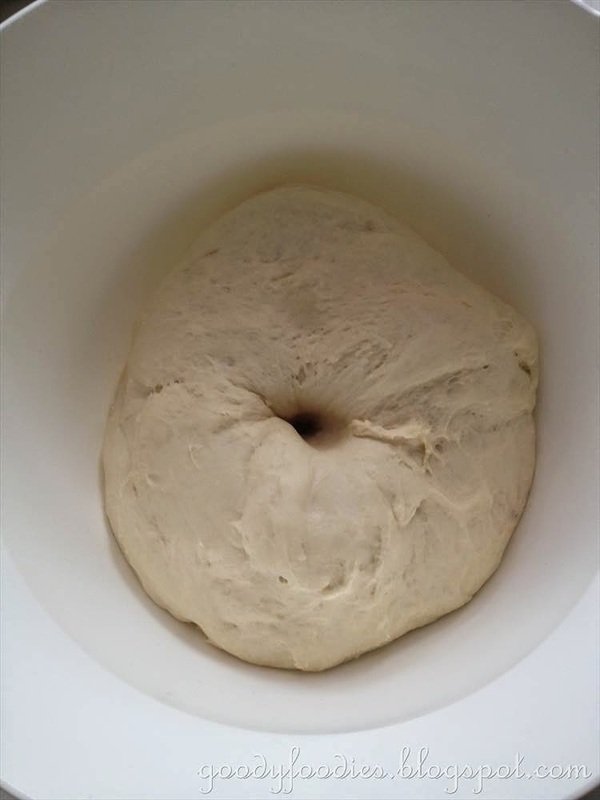 To test if it has sufficiently risen, press a finger into the dough and withdraw it quickly, the indentation should remain. 4. 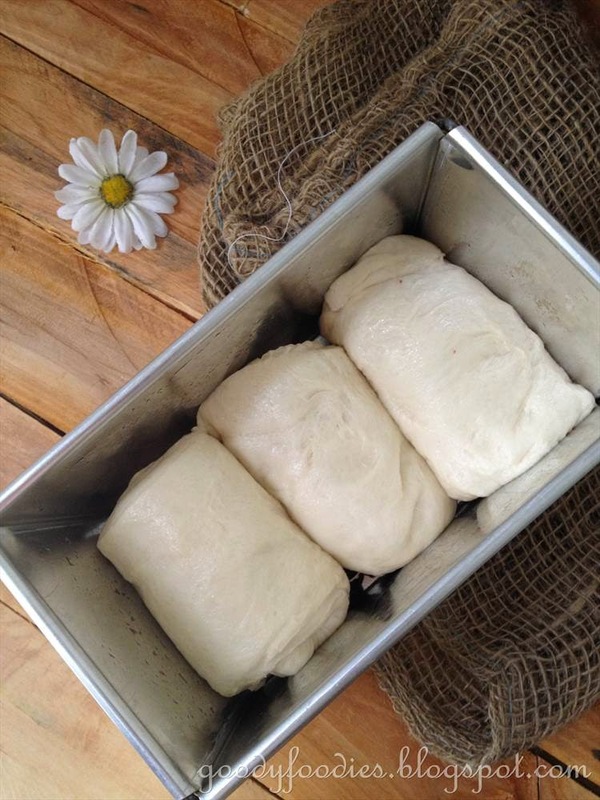 Gently punch the centre of the dough with your first to deflate it. Divide dough into 3 balls. Flatten each ball, then roll into a rectangle shape (like rolling a swiss roll), and place into a lightly greased 11x20cm Pullman tin. Cover and allow to rise in a warm place for another 1 hour, until the tin is 90-95% full. 5. 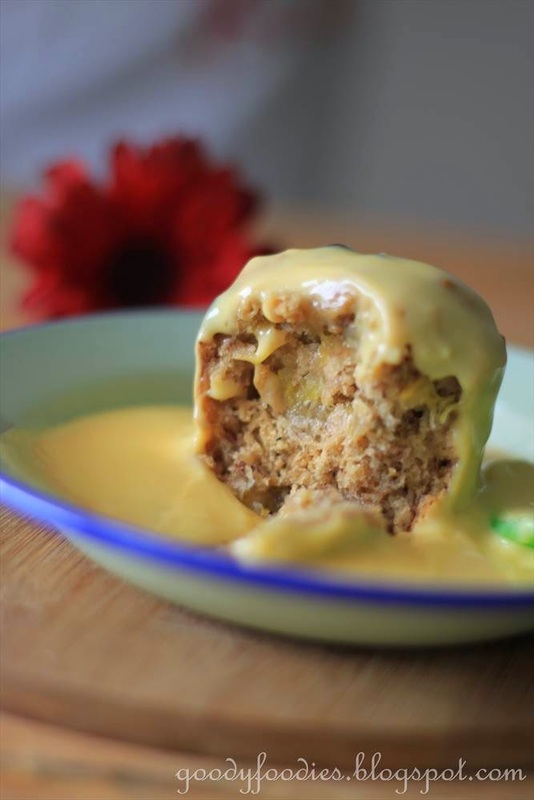 Cover the Pullman tin, bake in a preheated oven at 190°C (fan-forced) for 30 mins. 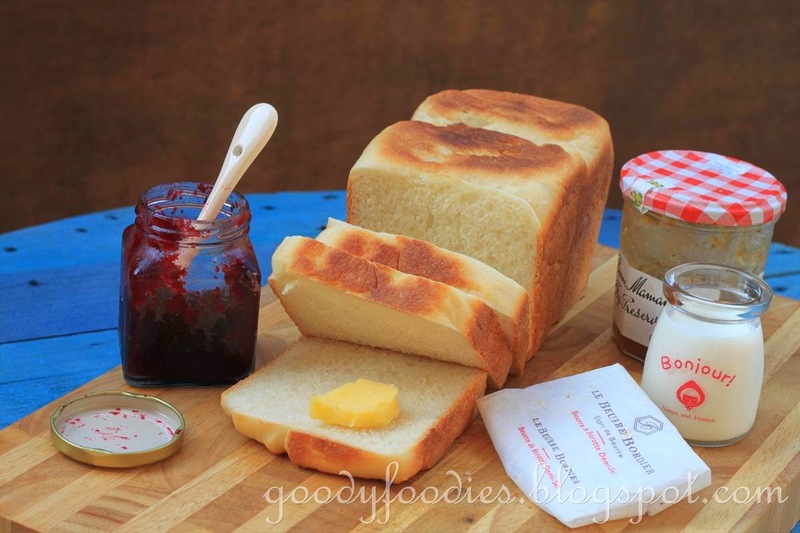 Perfect white loaf for breakfast! This one has got raisins. 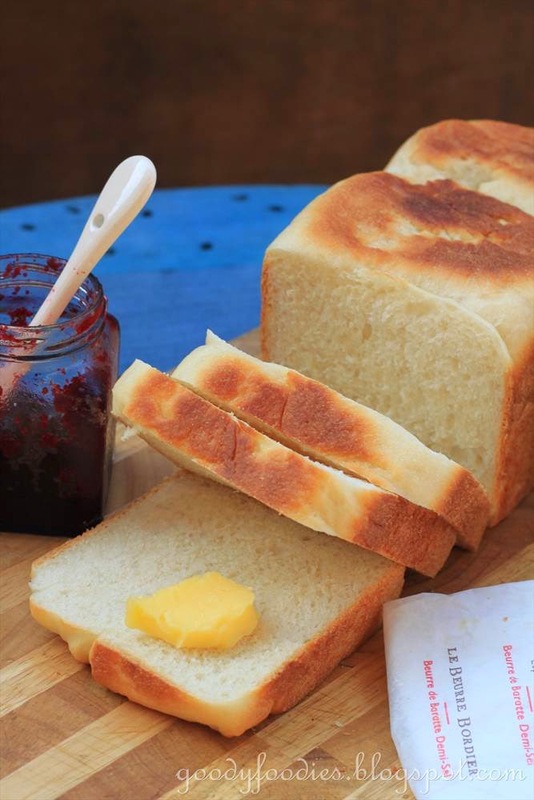 Note: If you intend to add filling to the bread such as raisins, cranberries or nuts, add them in Step 4 while you roll the bread into rectangle shape. Also note that it is normal for your Kitchen Aid to be very noisy and hot after kneading for 10 mins. 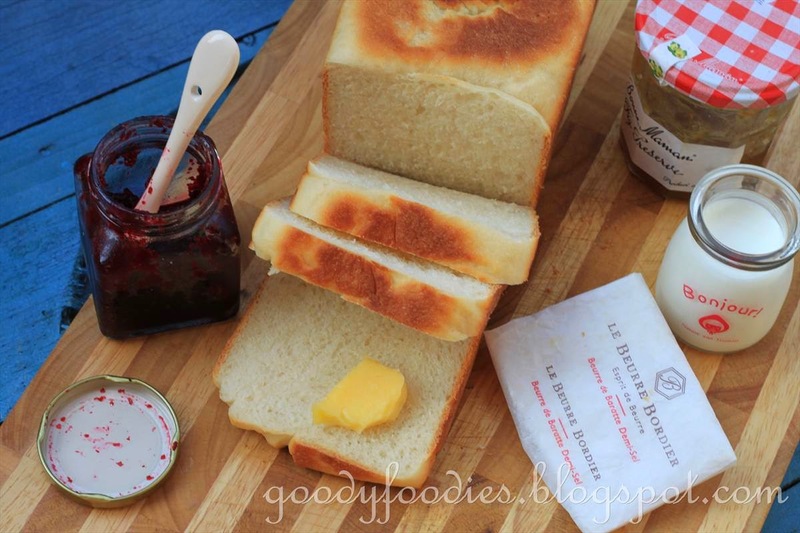 Bread with Bordier butter = simple irresistible! 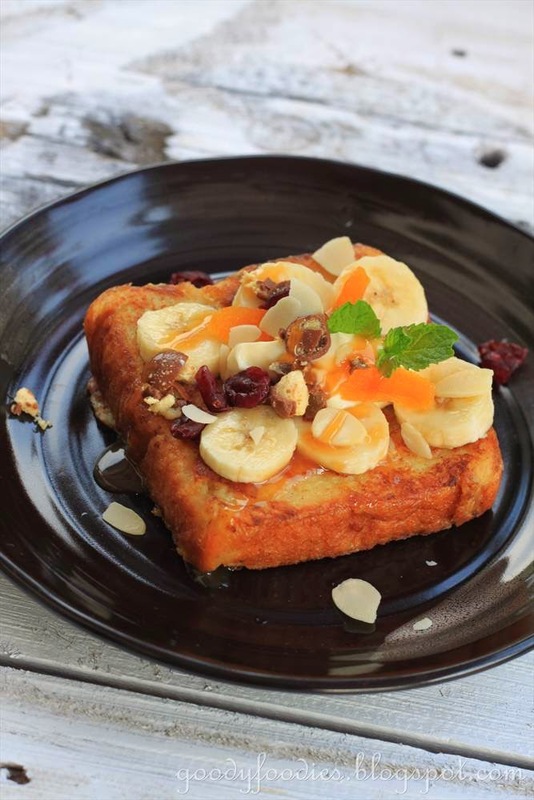 French Toast with bananas, apricots, caramel sauce and maple syrup. Oh and some crushed Maltesers as well.